The Hilton Hawaiian Village® Beach Resort & Spa is Waikiki's only true resort destination, offering the perfect mix of exceptional resort accommodations and classic Hawaiian hospitality, all nestled on 22 beachfront acres. Imagine the widest stretch of white sand on Waikiki, a serene beachfront lagoon, lush tropical gardens with exotic wildlife and cascading waterfalls, majestic views of Diamond Head and stunning seaside sunsets. Discover 90 shops and boutiques and a diverse, international selection of restaurants. The resort's beachfront Super Pool is the largest on the island, and on Friday night it becomes the stage for a celebration of Hawaiian culture and entertainment, ending with a spectacular Fireworks show! 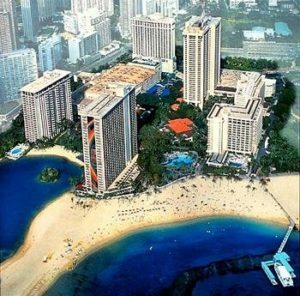 The Hilton Hawaiian Village Waikiki Beach Resort charges a mandatory $35 nightly "Resort Fee" in addition to the nightly room rate. Click here for details (http://www.hiltonhawaiianvillage.com/resort-charge) However, for attendees that book their room using the Group Code below, the resort fee (and associated benefits) will be optional. Or reserve by calling the hotel directly at 808-949-4321 and mentioning Group Code AAB. *It is best to reserve early as the above rates my sell out at any time. A portion of the room rate is used to offset conference costs.